You’re not the only one! 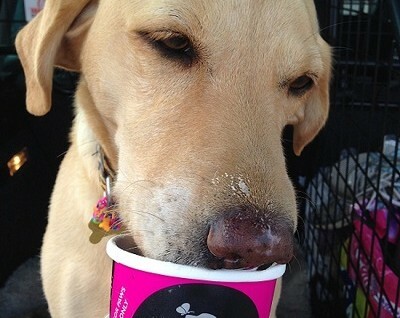 Check out this photo of Della, our golden Labrador Welfare Officer enjoying a nutritious iced treat for dogs! The treat is just one of a variety of nutritious, healthy and delicious treats for dogs on offer from Billy + Margot® (www.billyandmargot.com). Della, along with us, is hoping the weather lasts so that we can have an excuse to enjoy more icy treats! What photos do you have of your pets enjoying the sunshine?